It seems that the world has fallen in love with coconut oil. You can cook with it, remove your makeup with it, comb it through your hair, and smooth your legs with it. Not many products can multitask the way coconut oil can. Is it any wonder why coconut oil for hair is also so beloved? But does coconut oil really live up to the hype? And is it a great treatment for stronger, shinier hair? 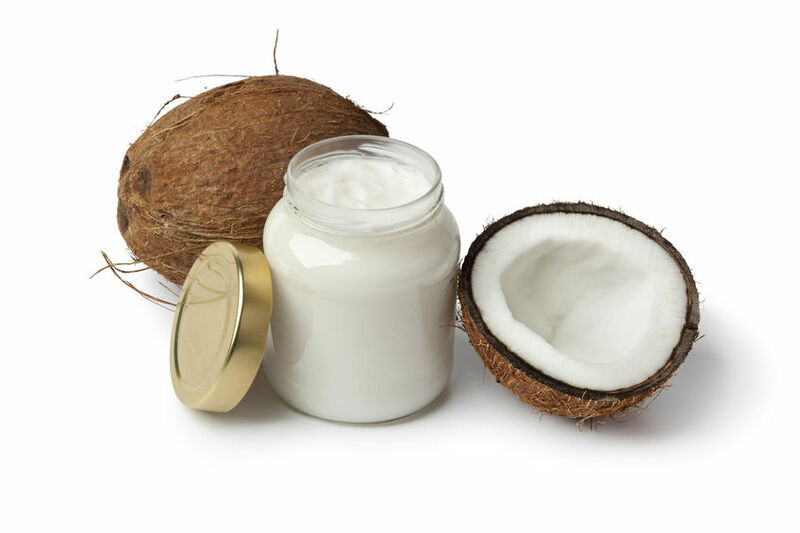 Caprylic acid is a fatty acid which has antibacterial, antiviral, antifungal, and anti-inflammatory properties.4 Understandably, this makes it ideal for the skin, including the skin on your scalp. Medium-chain triglycerides like caprylic acid are especially great at going after yeast infections, like the fungus Malassezia, which can cause dandruff.5 When left untreated, dandruff can become so itchy and inflamed that it may cause hair loss. Massage coconut oil into the scalp with gentle pressure to kick-start blood circulation. Wrap your hair under a shower cap for 10 minutes, and let those fatty acids really work their magic as a mask – especially to boost your hair protein. Rinse, then gently shampoo and condition your hair as usual. Smooth split ends while nourishing them by applying a little coconut oil just to the ends of your hair. This can be done while your hair is still damp or even between shampoos on dry hair. Apply just a little at a time, so you don’t wind up with overly oily ends. The same goes for frizzy hair. Rub some coconut oil between your palms, and lightly smooth it onto your hair. Keep the oil away from your roots, as it can make them look too oily. For curly hair, you can even “scrunch” coconut oil into your locks. 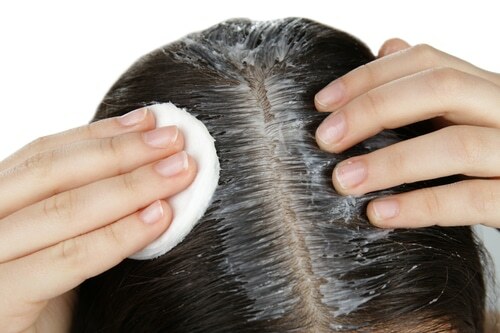 Coat your entire head with coconut oil for hair, taking the time to really work it into your scalp. Wrap up your hair in a shower cap and, if possible, try to warm the cap under the sun or low hair dryer heat for about 20 minutes. Or better still, try sleeping in the cap overnight. When you’re done, gently shampoo and condition as per usual. Take your hair mask to the next level by coating your hair in coconut oil, wrapping it under a shower cap and then leaving it on overnight. Keep in mind that thin hair requires less oil than thicker, frizzier hair. Because of its powerful moisturizing abilities, you may still feel the coconut oil on your hair shaft after you shampoo and condition. So, if your hair is very thin, or naturally oily, don’t overdo it. There are so many pricey hair smoothing creams and pomades on the market. 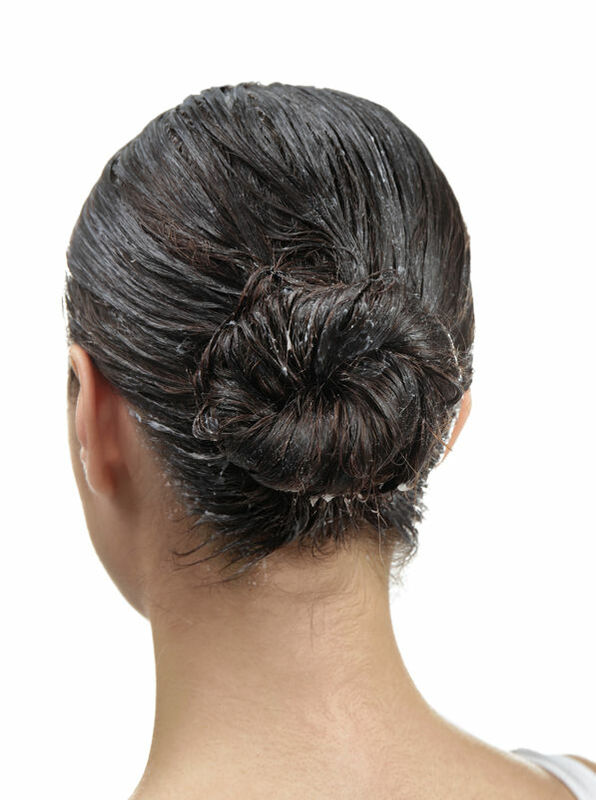 But coconut oil for hair is a natural option, helping to tame flyaways and frizz while styling. Smooth a little coconut oil through your hair before blow drying, especially around the ends, or touch up those flyaways after styling. Just remember: a little goes a long way. Just when you thought you couldn’t be surprised by coconut oil for hair anymore, you find out that it’s a natural UV protectant! In fact, coconut oil has an SPF factor of 8.11 If you’re a beach baby but find that your hair is easily damaged by long days in the sun and sea, smooth on some coconut oil as a leave-in UV conditioner. Coconut oil is certainly the kind of friend that you’ll want to have readily available around the home. What other hair product can you also bake muffins with? Monday - Friday 5am - 7pm PST. | Saturday/Sunday 6am - 4:30pm PST. 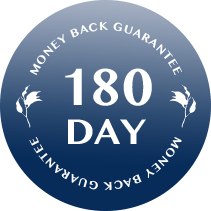 by 7 days a week to take your call. © 2019 Juvetress™ | †These statements have not been evaluated by the Food and Drug Administration. This product is not intended to diagnose, treat, cure or prevent any disease. Use only as directed. Consult your healthcare provider before using supplements or providing supplements to children under the age of 18. The information provided herein is intended for your general knowledge only and is not intended to be, nor is it, medical advice or a substitute for medical advice. If you have or suspect you have, a specific medical condition or disease, please consult your healthcare provider. Every individual is unique. As such, your results can and will vary.